I’ve been getting behind on posting these regularly as I’ve been consumed by Horizon: Zero Dawn on Playstation 4. I finished with a platinum trophy, so it’s time to jump back into the retro reminiscing with more about EverQuest. In the last post I went over memories on the Antonica continent, setting sail across the Sea of Tears to the continent of Faydwer. On the way there, the boat would stop at an island inhabited by the Sisters of Marr, who killed my friend’s shadow knight when he mistakenly stepped off thinking he’d arrived at his destination. Once the ship set sail again, however, you did arrive at Faydwer in the Butcherblock Mountains, which housed the dwarf capital of Kaladim. Beyond that you’d venture into Greater Faydark, the elf forest and home to both the high elf city of Felwithe and the wood elf city of Kelethin. Nearby was the infamous zone called Crushbone where one quickly learned about orcs and “trains to zone.” The zone boss that players camped was called Emperor Crush, who had a dark elf near him named Ambassador D’Vinn (this NPC has been given a nod in World of Warcraft Legion with a demon NPC named Ambassador D’vwinn). When adds would respawn during a fight or extra enemies were accidentally grabbed in a fight, parties would have no choice but to flee the battle. EverQuest, unlike modern MMOs, had no leash mechanic on NPCs. Instead, they would keep chasing players until they were killed or until they reached the border of a zone, its zone line. The whole time, players were drawing attention of every enemy in their escape route, building a train of enemies chasing them to the zone, hence the warning shouts “train to zone” told others to beware of the incoming danger. Other zones that were notorious for trains wiping numerous parties were Unrest and Mistmoore Manor, home of the vampire Mayong Mistmoore (also referenced in the original release of World of Warcraft). Lesser Faydark, a second zone that continued the massive forest of the continent, was home to another major GM event I remember hearing about by word of mouth, though this one happened when I was playing. It took place during the first expansion, the Ruins of Kunark, when the god of fear, Cazic Thule, appeared in the forest. Firiona Vie arrived to drive him back with Tunare’s blessing, but not before he was able to corrupt a unicorn that was known to wander the zone. The unicorn, Equestrielle, was a friendly NPC to good races. Firiona was forced to make a choice to save Equestrielle from corruption by killing her or risk corrupting her forever by cutting off her horn, though doing so would allow her to purify the forest of Cazic Thule’s corruption. If I recall, the unicorn asked her friend to save the forest and Equestrielle became the black horse, Corrupted Equestrielle, who would kill anyone on sight and was a very dangerous NPC wandering the forest from then on. She killed me and three friends once and our max level friend had a hard time getting our corpses dragged to the zone line without being killed herself. Which is another point I’ve not touched on. 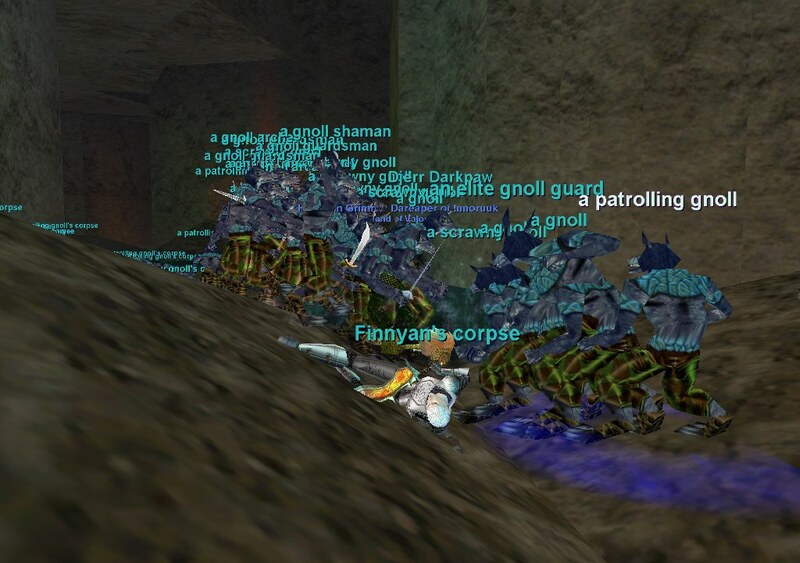 Death was serious business in EverQuest. If you died, all your gear, your money, and your inventory was left at the point you died. You had to have players bind your soul to cities near where you’d be hunting so you would respawn there completely unequipped and run back to your corpse to reacquire your gear. Death also carried with it experience penalties and the possibility to lose levels (which could render you unable to wear armor you had on). Other players could drag your corpse for you and necromancers made money summoning corpses to them (sometimes the only way to get your corpse back). You had 24 or 48 hours (I forget which) of online time or 1 week offline time to recover your corpse of it decayed and you lost everything on it. Not all GM events were grand stories, though. My friend and I were in a volcanic zone when the sky turned red and a goblin was shouting to the zone he was cold. We managed to find him and my friend gave him a high level item with cold resistance. The goblin despawned, but then appeared again and gave my friend a breastplate that only came from very high end raids. I never got high in level, enjoying the game at a leisurely approach alongside my guild and roleplaying as if we were having a D&D night all along the way. I did complete the Armor of Ro quest as well as the paladin’s class weapon to get the 2 handed sword the Soulfire. I didn’t play too far into the Kunark expansion before the Scars of Velious expansion released. I was barely high enough to travel to the moon when the third expansion Shadow of Luclin released. What impressed me with each expansion was how big the new continents seemed. Ruins of Kunark introduced the Iksar race and Shadows of Luclin introduced the Vah’shir. Each race started at level 1 on their newly released continent, making an expansion introduce enough zones for 1-50 if not higher without going back to old zones, though that was of course still an option. 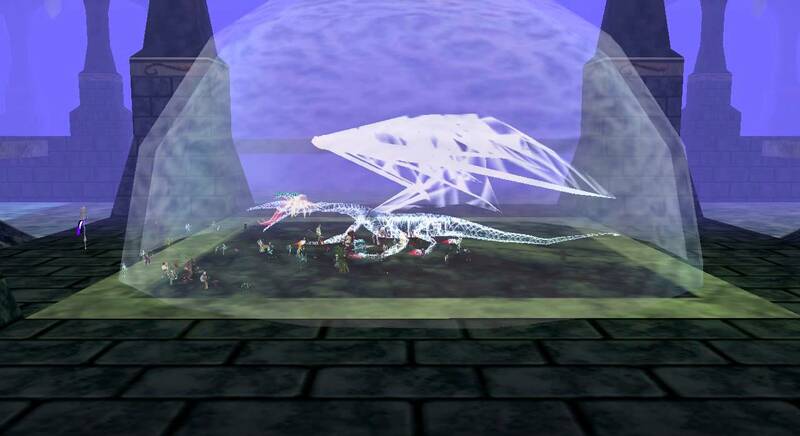 It made the game seem so vast and expansive that few players would ever spend any real time hunting and exploring every zone across the world, especially since soloing was rather rare. Of course, the camp-and-grind leveling made this easier than modern models with quests and story driven experiences. The one last story I recall from EverQuest is not a GM event, but rather a player enacted one: The Battle against the Kerafyrm, or The Sleeper. This dragon was the forbidden product of a blue and red dragon mating. Lore stated if the Sleeper were to awaken, it would rampage across Norrath and bring about the end of the world. This was meant to be a far later storyline that would be explored, so the Kerafyrm was never intended to be fought and killed. It was also a one attempt per server fight. If they woke the Sleeper and failed to kill it, it would never be in the game to attempt again. But gamers like a challenge. Dozens of players, if not over one hundred individual players, gathered to take beat the unbeatable. They started the fight and anyone who died would run back to their corpse for their gear and jump back into the fight. One would think with 100+ players, this strategy now commonly known as zerging should have made short work of any enemy, but I’ve always heard it took hours for them to whittle the monster’s health down. Just before it died, though, a GM despawned the monster and denied them victory. Players took to the forums to decry the action and caused such an uproar that SOE eventually made a statement saying it was the wrong decision. They would reinstate the Kerafrym and allow players to try again, though as a non-canonical kill should they win. The players organized again, this time with 200 players, and managed to kill the dragon after four hours. I stopped playing EverQuest during the Shadows of Luclin expansion, before even getting a horse. However, in many ways I still like aspects of EverQuest’s design philosophy more than what’s become commonplace in many MMOs today. The world felt so large, danger lurked around every corner, and players would form friendships over true fear of death. Bad or good behavior could build a reputation in the server community, allowing players to often police themselves more than is seen in modern MMOs. The guide program furthered that, allowing players to take on minor issues as mini-GMs in exchange for free game time. The level of socialization was simply above and beyond anything in the games today. The story was not told in quests on set paths, it was a living part of the world. SOE would add things to the world in a patch without mentioning them in the patch notes. Players would then notice crates with a weird symbol had appeared in dark elf camps and orc camps, spurring speculation of a coming alliance and possibly war. When those crates appeared in High Hold pass, there was discussion on the forums of the possibility that High Hold was infiltrated and going to turn bad, cutting off access for good races to get to Qeynos without a lot of difficulty. Many stories and speculation sprang up, some proving to hit the mark on what later unfolded in GM events and stories, some being completely speculation, but it made the game’s story feel organic because players, like their characters, didn’t know every detail of what was going on in the behind the scenes politics of Norrath. That’s not to say the genre hasn’t improved and EverQuest was the golden age, only that some aspects that made it so unique have been lost through the years of improving accessibility and faster experiences rather than expecting long hours of commitment. Norrath was a large world that you could take time to escape reality and live in, not just play a game and do a routine for loot. It was about adventure and comradery, stories told by the developers as well as by players, and a world that asked you to explore it. I hope someday these design concept comes back to MMOs and we see a true return to MMORPG rather than MMO Theme Park designs, but I personally don’t see this happening until we develop Virtual Reality to the levels we’ve dreamed of for years in sci-fi and anime. With Playstation and N64 in my bedroom as my consoles of the time, I found myself wandering into the land of PC. I was in my final years of high school and had a little experience playing Star Wars Jedi Knight: Dark Forces II along with even less of X-Wing vs TIE Fighter. I had played a few PC games a little bit in the past with Alone in the Dark and Quest for Glory: So You Want to Be a Hero, but a friend pulled me more fully into PC gaming by introducing me to EverQuest. Just look at that cutting edge amazing game. After playing RPGs on consoles, the breadth and scope of EverQuest, or EQ, was quite impressive. What set this game apart from RPGs I had played before was the notion of living in a fantasy world and finding your own adventure rather than just playing through a pre-determined story. I didn’t know of Ultima Online, so EQ was more of a revolutionary concept than a genre for me, but it certainly went on to cement itself as a, if not the, founder of the MMORPG genre of the next number of years. I started on the server my friend was on: Erollisi Marr, which was still running last I looked. I created a human paladin named Feneril (Fin-er-ill) and started in Freeport. EverQuest is still, to me, the closest any game has gotten to best imitating a Dungeons & Dragons world in a video game. Night was dark and humans couldn’t see in the dark without a light source such as a torch, lantern, or magical item. As a result, I found myself in the dark falling into the water at the Freeport docks. Now in the water and still unable to see, I didn’t know where to go, so I spent the game’s night cycle swimming against the wall of the docks, treading water and getting my swimming skill leveled up! From Freeport killing rats, I journeyed to the Commonlands where a tunnel became the go-to location for player barter and trade. EverQuest didn’t have an “auction house” like most modern MMOs, so shouting to hock your wares was how the economy flowed in Norrath at the time. There were tales of people getting cheated during trades, but I didn’t know anyone who was myself. That the area became the accepted player market place is one of the early examples of emergent gameplay that made EverQuest unique at the time. The Commonlands also had another…we’ll say feature that you don’t tend to find in MMOs anymore: ridiculously high level enemies that wandered into low level areas. While players were in their early teens coming into this zone, a level 36 griffin would wander about. The griffin would fly along and aggro (attack) players below. When they were spotted, players would alert others by using /shout to announce the sighting and players either ran from the area or would get indoors at a merchant’s shop for safety. The latter didn’t always work as the griffin would sometimes come through the ceiling or wall and attack anyway. Norrath was a dangerous world. Moving on was the first far-from-town outpost from Freeport where players gathered. It was basically a collection of stones, but druids would make money there offering the Spirit of the Wolf buff (SoW). This let players run faster and was sought after for the next leg of the journey to venture through the next zone of Kithicor Woods. Nobody wanted to get caught in Kithicor Woods at night. EverQuest, particularly in its early days, had GM (Game Master) events where the game GMs would trigger and/or lead major events. These were often used for major story events that would impact what was happening in the world’s grander stage. Perhaps the most famous of these is the Battle of Bloody Kithicor. The whole event went down before I was playing, but EverQuest had these events only once rather than remaining available for all players to experience forever. As a result, these events passed on to stories that players would tell, which then became the stuff of legend much as the stories have in human history. The way I read it was players were contacted by GMs posing as messengers of the gods with warnings of a great conflict to come in Kithicor Woods, but beyond that were fairly vague other than how many days they had until it would happen. Players then began to spread the word. One group of players gathered at the city of High Hold, expecting it to be the target. Two zones away in Neriak Forest, home of the dark elves, the dark elf character Lanys T’Vyll spawned under a GM’s control. After a speech, she started a march towards the Commonlands, gathering players who marched with her on the way to Kithicor Woods, resulting in a growing army. On the other end of Kithicor Woods, the high elf princess Firiona Vie, EverQuest’s mascot character, appeared as well, also played by a GM. Players flocked to her as well, swelling an army to defend High Hold Pass. The result was a conflict of players against spawning mobs as well as players vs players. Emergent gameplay cropped up during the event as players from the dark elf army split away to invade the bordering zone of the Rivervale and to attack the halflings. Why? No particular reason, but they were still attacking “innocents,” so the defenders followed and the battle spilled into that zone as well. The event ended with the sky going red (which became a hallmark of GM events) and the woods becoming cursed due to the bloodshed and hatred caused by the battle. 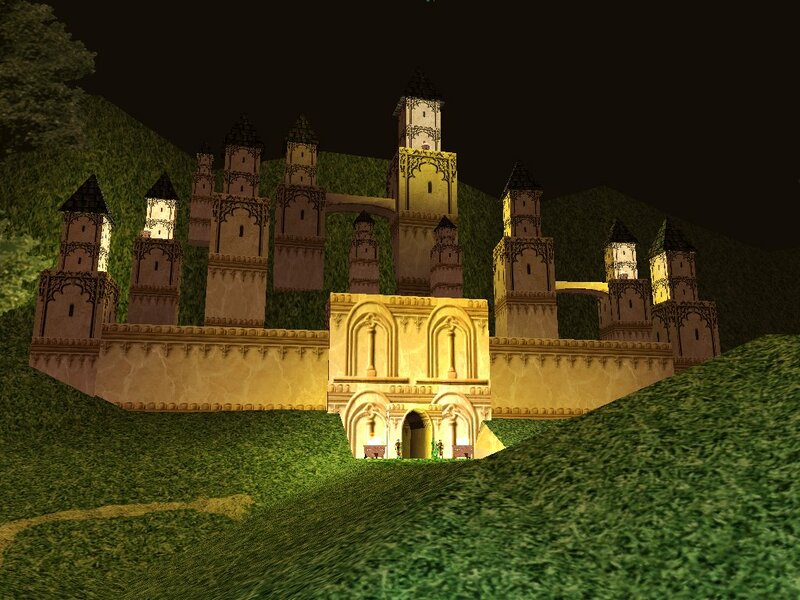 After the event, Kithicor Woods remained a medium level zone by day, but became populated by large amounts of higher level undead at night, associated with the Plane of Hate. Beyond Kithicor was High Hold Pass which led to the Plains of Karana and on to the city of Qeynos as well as the city of the barbarians, Halas. It was in the Karanas I fought gnolls and toward the Rathe Mountains to fight aviaks. Along the way, my friend that got me into the game brought me into their guild, The Champions of Marr. Combat was quite different from today’s MMOs. Nothing was instanced, so leveling was done by forming a group and taking up a camping spot, then pulling enemies to the group to fight and kill them for experience, then wait for a respawn to repeat the process. The advantage this gave was downtime to chat and get to know other players, making EverQuest a very social game where friendships were formed and relationships began that were known to even lead to real world marriages. I still remember a number of my guild mates: Avaric, Esperanza, Lily, Kharne, Gorndax, and Ariell to name a few, though I’m not in touch with most of them anymore. Another event, this time in the Karanas, wasn’t so quickly resolved. The god of plague and disease had followers preparing to summon him into the mortal realm, causing polluted rain and diseased, rabid, animals through the plains. There was quite a bit of reported event activity in the city of Qeynos at the time, but I don’t remember all the details as I do with Kithicor’s retelling. I do remember once walking, not running, from Qeynos to Freeport just to do so. On the opposite side of Freeport was the Desert of Ro where I spent some time leveling as well. There was a number of zones on the continent of Antonica that I never even explored. Instead, I headed for those Freeport docks once again where players could wait up to 30 minutes for a ship to arrive and carry them across the sea. With the departure from Antonica, we’ll stop here for now. In my next post, I’ll discuss memories on the continent of Faydwer, and we haven’t even gotten out of the game’s initial release and started to explore the expansions yet!